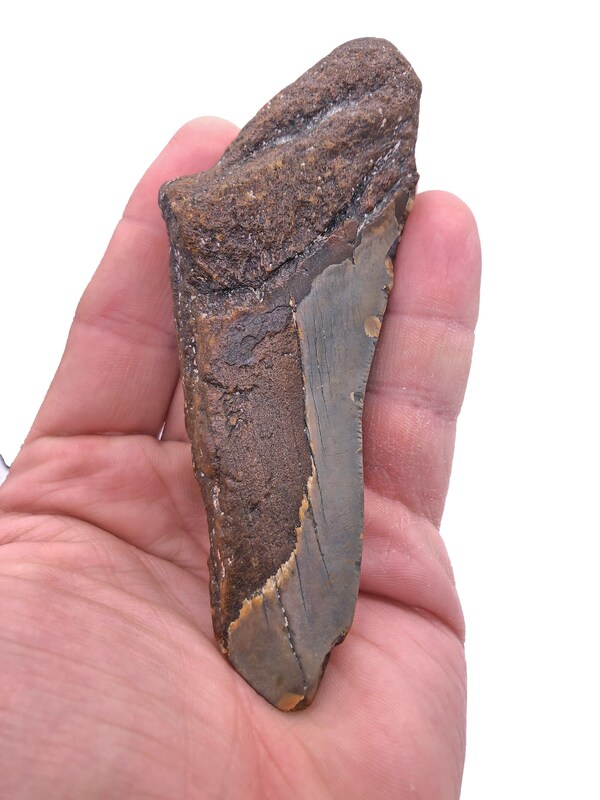 This Megalodon tooth weighs in at 4.9 ounces / 140 grams and measures 4.7" tall by 2.2" wide. 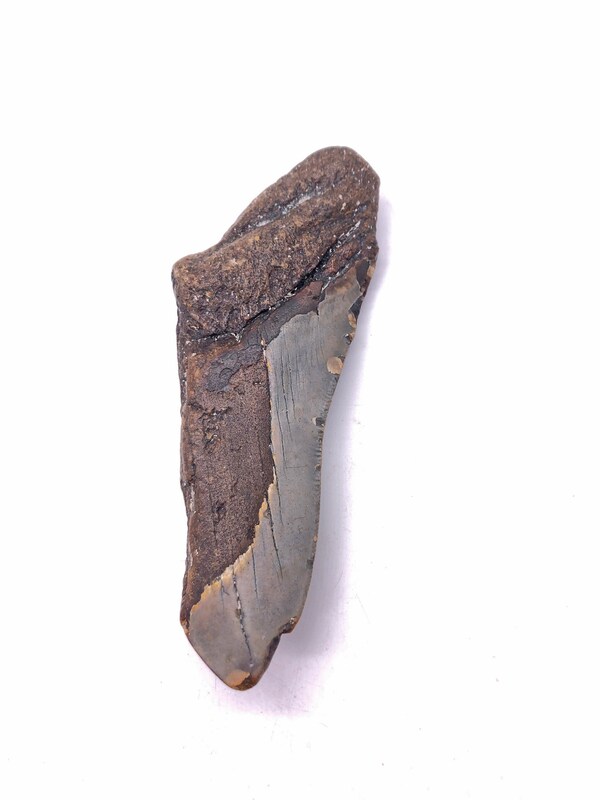 This is a real tooth and NOT a replica. 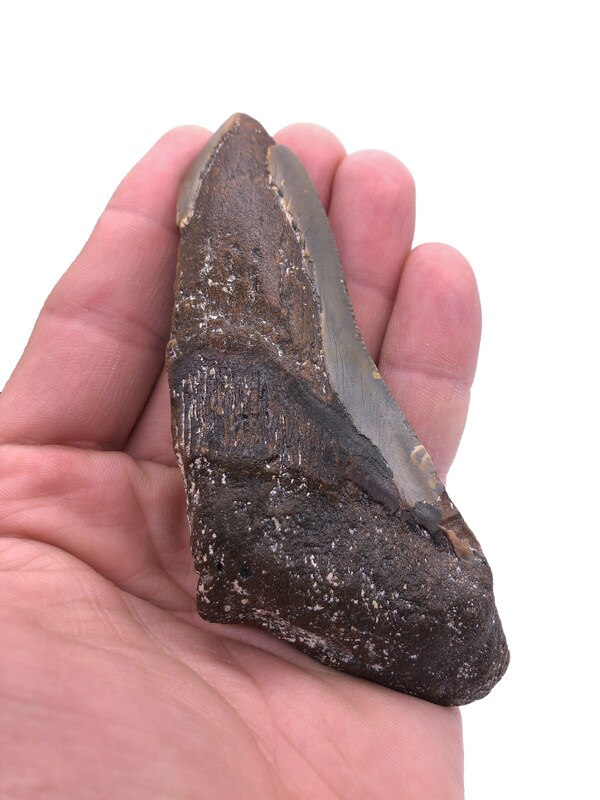 Scientists suggest that megalodon looked like a stockier version of the great white shark, though it may have looked similar to the basking shark (Cetorhinus maximus) or the sand tiger shark (Carcharias taurus). 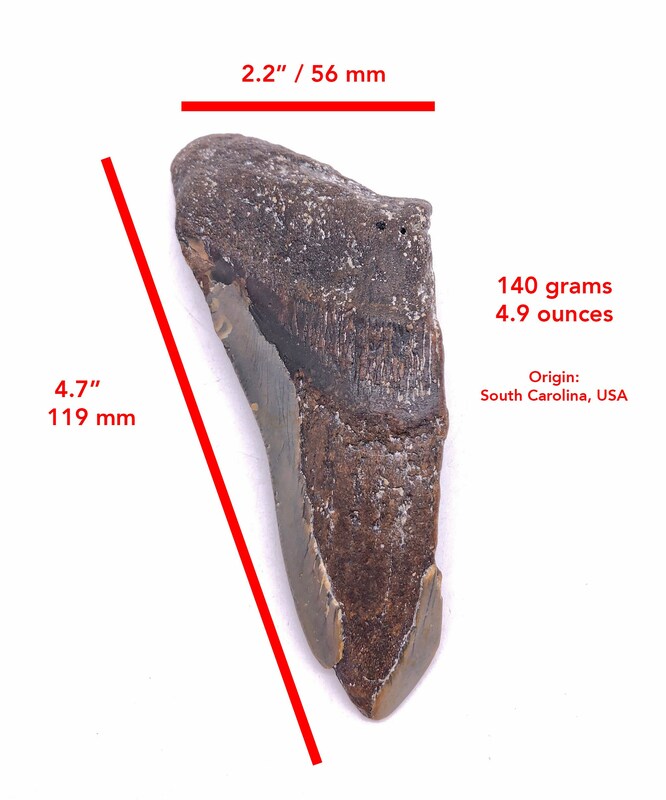 Regarded as one of the largest and most powerful predators to have ever lived, fossil remains of megalodon suggest that this giant shark reached a length of 18 meters (59 ft). Their large jaws could exert a bite force of up to 110,000 to 180,000 newtons (24,000 - 41,000 lbf). Their teeth were thick and robust, built for grabbing prey and breaking bone. 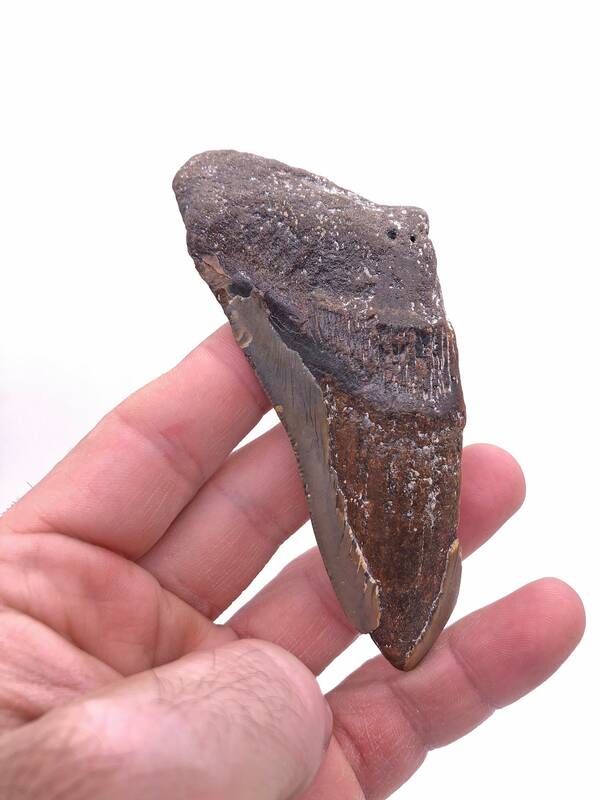 Megalodon probably had a major impact on the structure of marine communities. 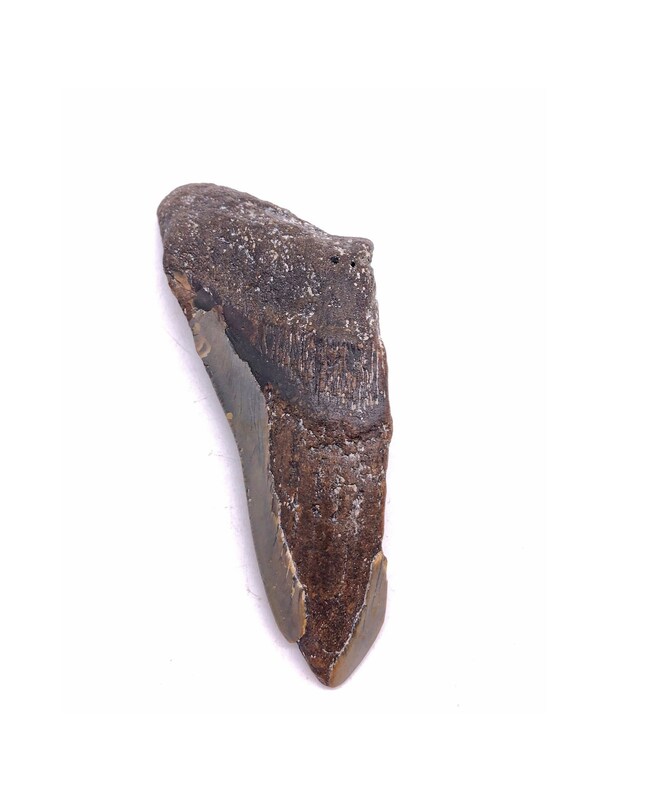 The fossil record indicates that it had a cosmopolitan distribution. 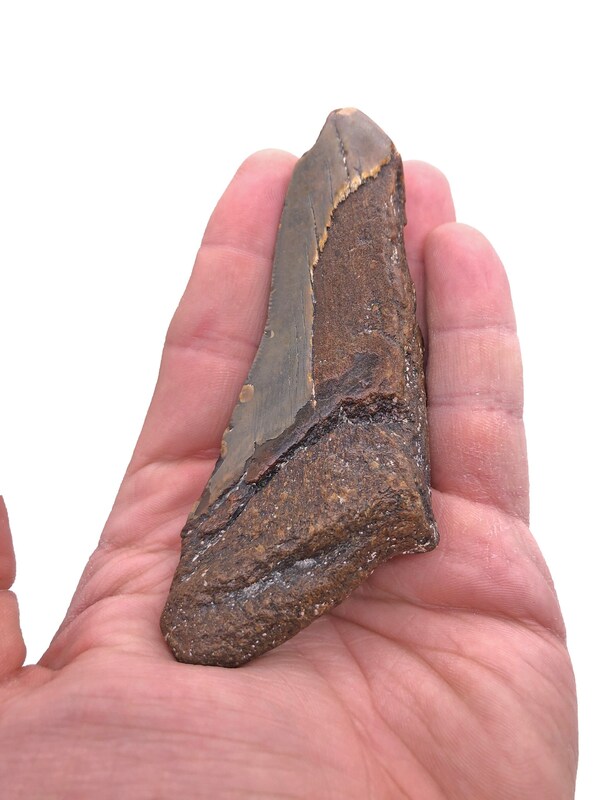 It probably targeted large prey, such as whales, seals, and giant turtles. Juveniles inhabited warm coastal waters where they would feed on fish and small whales. 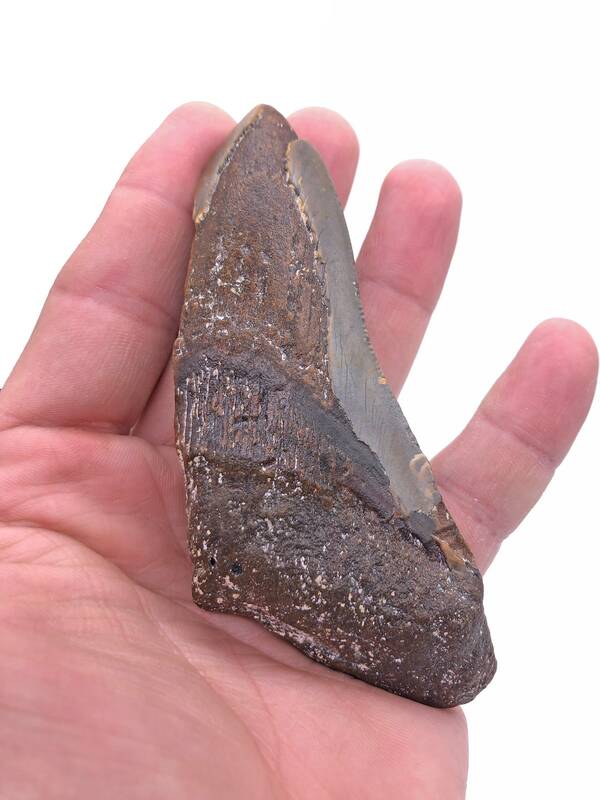 Unlike the great white, which attacks prey from the soft underside, megalodon probably used its strong jaws to break through the chest cavity and puncture the heart and lungs of its prey. The animal faced competition from whale-eating cetaceans, such as Livyatan and ancient killer whales (Orcinus citoniensis), which likely contributed to its extinction. As it preferred warmer waters, it is thought that oceanic cooling associated with the onset of the ice ages, coupled with the lowering of sea levels and resulting loss of suitable nursery areas, may have also contributed to its decline. 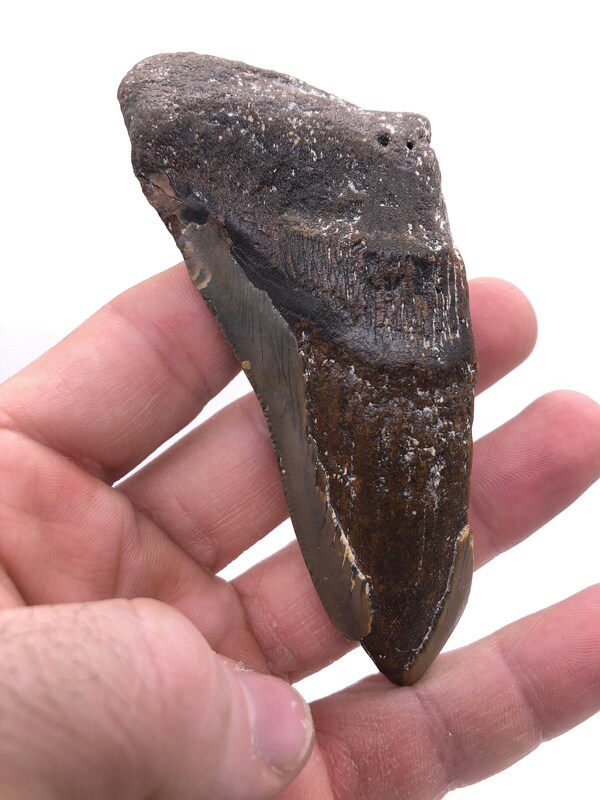 A reduction in the diversity of baleen whales and a shift in their distribution toward polar regions may have reduced megalodon's primary food source. 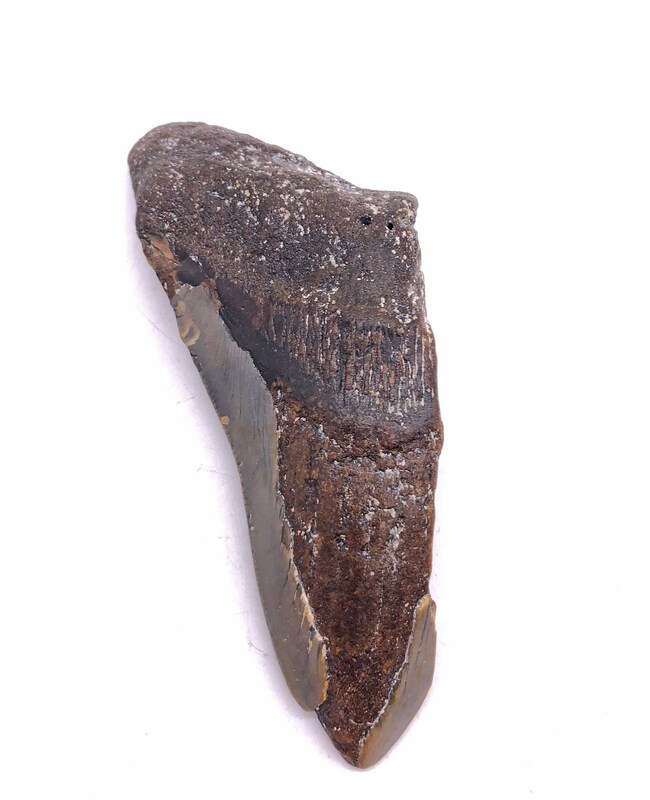 The extinction of the shark appeared to affect other animals; for example, the size of baleen whales increased significantly after the shark had disappeared.